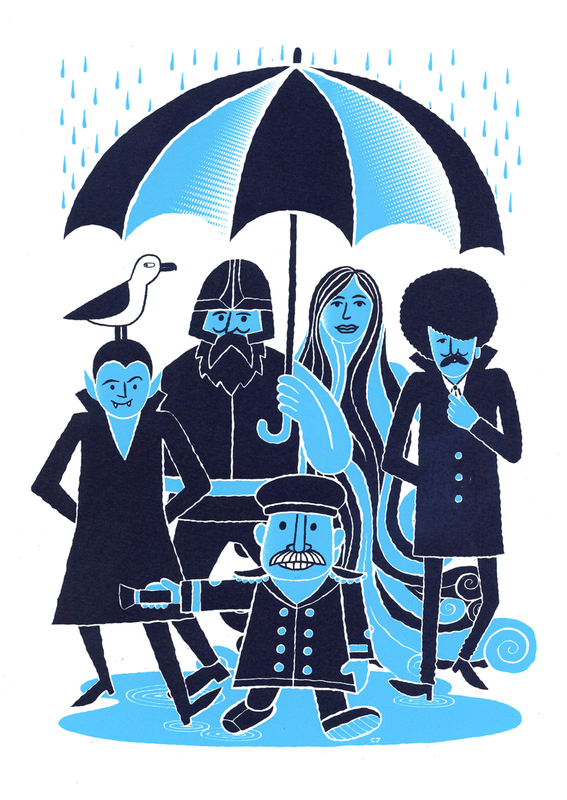 Buy Chris Judge’s Screen Print in aid of the Docklands Arts Fund! The award winning artist and illustrator Chris Judge created a drawing for a screen-print based on Dublin Docklands characters. You might be familiar with some of these folks, a few of which are immortalised as sculptures throughout the city. Bram Stoker’s Dracula is is joined by a Viking, Anna Livia, Phil Lynott, and Mr Screen. This limited edition hand-made print is available only as part of the Docklands Arts Fund, and was made at the studio of Damn Fine Print. It is A3 in size, with a two colour, half tone process. This commission was made possible thanks to the support of Oaktree Capital, Target Investment Opportunities ICAV – South Docks Fund. All the funds raised from the Docklands Fine Art Print Commission 2015 were used to fund the Pilot Small Grants Scheme. Selected projects are listed here.